Ever since turncoat Democrat and convicted felon David Duke threw his hat into the ring as a Republican candidate for the Senate in Louisiana, the GOP’s executives and power brokers have engaged in the kind of maneuvering that gives the Stupid Party its name. We’re seeing a full-scale panic over a fringe candidate with no evidence of support and absolutely, positively no chance to win. We’re seeing this, because it’s good for business. Duke, as loathsome as he is, is good for business. He’s great for the media business. You can expect Duke to get a vastly outsized share of headlines over the course of this race, making his fringe candidacy look a whole lot more relevant than it is. Everything he says will be written down and categorized, and that piece of it which isn’t out of line with things more responsible candidates say will be used to impugn the more responsible candidates. Which makes him great for Democrats’ business. Duke has come out and favorably endorsed Donald Trump’s candidacy for president. Which is something Trump can’t control and hasn’t reciprocated. Trump denounced Duke rather than endorsed him, but the Democrats and the media are going to pair the two nonetheless. It’s grossly unfair for the Democrats and the media to do that, of course. It would be like saying that because Louis Farrakhan and Hillary Clinton have both made statements favorable to Black Lives Matter that Farrakhan and Clinton share an ideology and that to vote for Hillary is to endorse Farrakhan’s exhortation for 10,000 black men to rise up and kill police officers. But they’ll do it anyway, because it hurts the cause of Republicans and it’s the kind of intellectually lazy analysis which sells newspapers and gets clicks. No major party should ever consider supporting a candidate with a long history of vile bigotry — even if the candidate has a shot at winning the race. But the argument itself doesn’t really mesh with what Priebus and others have been telling me this election cycle. What if there were a large field of GOP presidential candidates and, owing to a confluence of events, someone like Duke fairly captured the Republican nomination? Would conservatives cast their votes for him in the general over someone as disagreeable as Hillary Clinton? I mean, you all know how terrible she is! What if Duke promised to nominate conservative Supreme Court justices? Let’s say he drew up an extensive list of Federalist Society–approved justices whom conservatives simply loved? Would they vote for him then? RNC spokesman Sean Spicer says no. But please don’t tell me you’re willing to surrender the court to a progressive agenda for a generation. If you don’t vote for Duke it would be tantamount to abandoning law and order. As pro-Trump Republicans often stress, national elections are a binary choice. What this comes down to is David Duke is a useful tool to advance lots of people’s rhetorical and political agendas. What he isn’t is a viable political candidate. Ironically that makes him an even greater tool for pushing agendas, because since he’s not going to win or come close he can be the subject of risk-free bloviation. What’s the downside of all this? Well, for one thing there are some candidates in this race who actually do have something to say but who won’t get attention because of the time wasted on Duke. Abhay Patel and Rob Maness would be perfect examples. Both are doing what they need to do, namely using Duke as a foil to get attention. The problem is that when you do that you tie yourself to the things Duke says, because you’re always responding to Duke to get covered and when Duke doesn’t say anything nobody pays you any attention. And also, you’re punching down when you’re attacking Duke – and you can’t win by punching down. At the end of the day David Duke is begging to be ignored. Rather than waste a lot of energy and time screaming about how awful he is, everybody ought to treat him as what he is – a disgraced, irrelevant nobody destined for two percent of the vote. I’ve said this several times, but in the context of recent word that the FBI is looking into a potential bribery scam involving Newell Normand I’ll say it again – the fundamental problem the Louisiana Republican Party has at present is the two most prominent Republican political figures in the state, specifically the highest-profile state legislator and the highest-profile local official, are John Alario and Newell Normand. Both are Democrats posing as Republicans, and both are ridiculously corrupt. And the damage they both do to the GOP brand is severe. It’s not insignificant that these two people are also political allies of the state’s Democrat governor, which makes it difficult to sustain unified opposition to the damage John Bel Edwards does. Normand, of course, is now running around claiming that the FBI isn’t actually looking at him – and if you look closely, you can see the tire tracks on Craig Taffaro’s back from the bus that ran him over after Normand threw him under the wheels. Normand wanted badly to run for governor last year, but opted not to when it became obvious to him that he couldn’t win. If it’s not quite so obvious it’s quite possible he’ll jump into the 2019 race. And if he does, he could very easily muddy the waters enough to allow Edwards to be re-elected; if Normand takes enough “law-and-order” machine political vote in Jefferson Parish and suburban New Orleans off the table for an actual conservative in the primary, it could open the way for a weak challenger to make the runoff with Edwards – and if Normand should endorse Edwards in the runoff he could contribute to a similar result as the 2015 race produced. 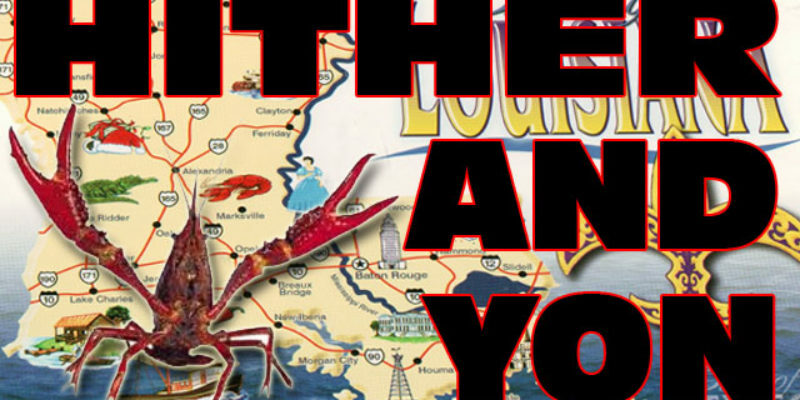 Louisiana’s Republicans badly need to unify behind one candidate for 2019, and it needs to happen early. The odds of that happening aren’t great, largely because of the role Normand will play and because Scott Angelle is bound and determined to run (and as of right now Angelle, who’s the odds-on favorite to win the LA-3 congressional race, is not a unifying figure thanks to the hard feelings over his refusal to endorse David Vitter in last’s year’s gubernatorial runoff). There are people who question Jeff Landry’s electability, there are people suggesting that John Kennedy would run in 2019 after serving a couple of years in the Senate – is there another state in the country where sitting U.S. Senators want to make a practice of running for governor? – and there are people talking about bringing Vitter back in 2019, Miss Me Yet?-style. It’s too early for all this, but our suspicion is the answer doesn’t lie in any of those possibilities. It might be that Mike Strain, the state agriculture commissioner, or somebody like him might be a better option as a unifying figure who can win. Everybody likes Strain. He’s done what can only be termed a miracle in unwinding the corrupt socialist enterprise Bob Odom left him with. He’s a conservative who manages not to come off as an ideologue. He doesn’t have skeletons in his closet. And he has a base of support in every area of the state with farmers who swear by the job he’s doing. Strain endorsed Charles Boustany for the Senate last week. If Boustany were to somehow manage to win that race, Strain might become a major horse on the 2019 track. I got pounded on social media Friday by Christian Gil, the Clay Higgins supporter who is introducing a resolution to censure Scott Angelle and Jay Dardenne for failing to support Vitter last year at the Republican state central committee meeting later this month, after Kevin Boyd wrote a piece panning the idea. But I didn’t express an opinion one way or the other on that resolution. As our better-informed readers might recognize, not everything posted here at the site reflects my views. We have disagreements often around here, though we generally don’t play them up and go for each other’s throats. In this case, though, I think Kevin is generally right in saying that Gil’s resolution is a bad idea. It’s a bad idea because Gil is backing Higgins and it comes off as political gamesmanship to hammer Angelle with a censure resolution so late after the fact. Plus, while Angelle’s failure to support Vitter is certainly something voters are entitled to weigh as a factor in whether he’s responsible for John Bel Edwards being Louisiana’s governor, it’s unreasonable to say that as a Republican candidate for office you must actively endorse Republicans in the runoff or else be censured. Now, the censure of Jay Dardenne, who actively worked across the aisle against a Republican candidate, is worth debating. Whether it actually succeeds or not, that isn’t a bad idea. It’s not even a bad idea to debate the denial of eligibility for party endorsements for those who work across the aisle. The only thing wrong with Gil’s resolution where Dardenne is concerned is it’s late. What I would suggest, if there is to be some rulemaking effect out of last year’s debacle, would be something like this – while a case like Angelle’s shouldn’t be actionable, in the case of a Dardenne who campaigns for or raises money for or actively endorses a Democrat perhaps something like an automatic resolution of censure/disqualification from endorsement is triggered at the next RSCC meeting. If you did that, you’d get a couple of things. First, nobody would be able to denounce the resolution as a political dirty trick like Scott Angelle’s people are doing with Gil right now. It’s a standing resolution, so it’s not personal. The rule is that if you’re in a race and you lose, you can either stand down or you can support the party’s candidate in the runoff if there is one – break the rule and you risk the consequence that the state party publicly rebukes you and possibly even disavows you. And second, there is flexibility involved. An automatic resolution doesn’t mean automatic consequences; what it means is a vote. If the state central committee thinks there were good reasons for one of its people to go off the reservation, like for example in the case of a Duke-Edwards 1991 situation, then they need only to vote down the resolution when it comes up at the next meeting and therefore it can choose to maintain the “offender” in good standing if it wants. But if not, the RSCC can deliver that censure or disavowal – and everyone will know in advance that supporting candidates across the aisle carries with it a potential raft of bad consequences from rough PR to fundraising drying up to oodles of hostile and well-funded challengers in one’s next race. So you’d better have a damn good reason to go against the party’s nominee, and you’d better be prepared to defend such an action at the central committee meeting. Former Louisiana Governor Mike Foster today endorsed John Kennedy in his bid for the U.S. Senate. Governor Foster joins Governor Buddy Roemer as the second former Governor to endorse Kennedy in as many weeks. Kennedy picked up Buddy Roemer’s endorsement last week. He isn’t likely to pick up Bobby Jindal’s and go three-for-three on endorsements of living former Republican governors, but he does have a majority. Interested in a Today’s Last Thing? This will be a Saints TLT. As you know, the Saints have started training camp, and among the many stories this year is the changing of the guard at wide receiver. Because Sean Payton and his team have moved on from Marques Colston, who was the most productive receiver in franchise history (club records in receptions, yards and touchdowns) but clearly had seen better days as of last year. To replace Colston, the Saints aren’t just leaning on Brandin Cooks and Willie Snead, who were a highly effective combo despite being smaller of stature than the 6-5 Colston, and Brandon Coleman – three returning players. They spent a second-round draft choice on 6-3, 215-pounder Michael Thomas from Ohio State as a candidate to fill the void created by Colston’s departure. And so far in camp, Thomas is showing signs of being a sensational addition. He makes circus catches on a routine basis. If Thomas can give the Saints a big receiver in the vein of Colston in his prime to go with a steady Willie Snead and a gamebreaking Cooks, the Saints’ passing game could well return to a dominant level making some of their defensive struggles less problematic. And then you add the pickup last week of Hakeem Nicks, the former All-Pro wideout for the New York Giants whose career has fallen on tough times due to some injuries and a lack of focus the past couple of years; Nicks is only 28 and if he’s able to regain his former form as a receiver in Payton’s offense and with Drew Brees throwing him the ball, wow. Add to that a Coby Fleener, who is more like a Jimmy Graham than Ben Watson was last year even though Watson put up Graham-esque numbers at 34 years old in 2015, and perhaps a finally-healthy C.J. Spiller, and that’s potentially the most dangerous passing attack in the history of the NFL. Really, it could be. Seriously. We’re not ready to proclaim the Saints a contender just yet. Last year’s team was horrific even by the standards of a 7-9 club, and there are still holes – we’re not crazy about the offensive line, for example, the lack of a pass rusher opposite Cameron Jordan could be an insurmountable problem, there is no guarantee that first-round pick Sheldon Rankins and veteran free agent pickup Nick Fairley, who underachieved with the Detroit Lions, will shore up what was an outrageously terrible run defense and what on paper should be a pretty good secondary is full of players with histories of missing extended time with injuries. That said, should things come together just right and with the addition of a big-time find like Thomas, beating this team could be a nightmarishly difficult thing to do. You might have to drop 40 points on the Saints just to have a chance against them. And thankfully Rob Ryan is gone, so maybe dropping 40 on the Saints could even be hard to do.